Because CC Proof encourage drinking tap water, we bought a lot Dopper® bottles with the CC Proof was seal. These bottles are for the employees, but also for guests and we give them away during events. 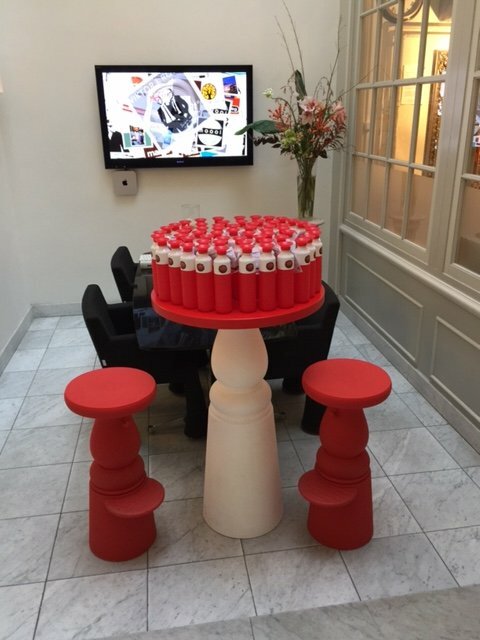 Yesterday a bottle was given to Councillor Kajsa Ollongren during the presentation of the Herengracht Gids.